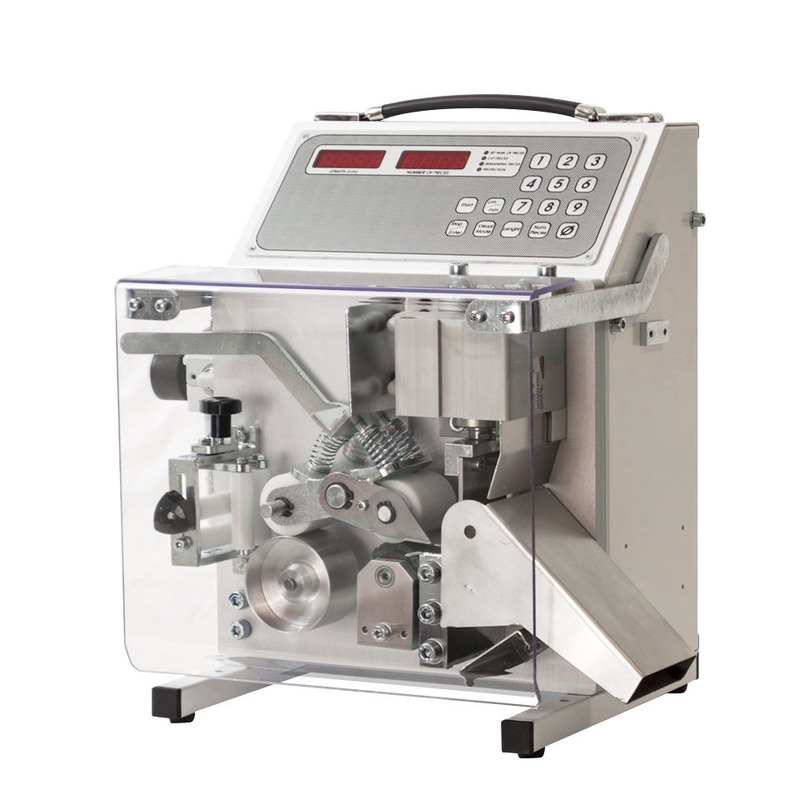 The SP101 CUTTING MACHINE has been designed and engineered to meet differing work requirements in a variety of fields. Its versatility, technical-functional features and performance capabilities make it a truly authentic innovation. It can be used to cut a wide range of materials, for which the manufacturer is available to carry out test cuts, in order to ascertain the machine functionality. The automatic operation of the machine is controlled by a microprocessor, which guarantees the recovery of the work cycle in the event of a power outage or material malfunction, hence maintaining the residual memory without the assistance of a backup battery. The keyboard allows setting and modifying the cutting time as well as the motor speed, in order to maximise productivity and product quality. The length and quantity parameters can be set respectively, from 0.1 to 9999 cm (100 m) and 1 to 9999 pieces (or set to unlimited by using “0” for the number of pieces). Upon request, the control panels are available in Italian, English, French, German and Spanish. The machine is equipped with safety and accident prevention devices according to current regulations. The SP101 cutting machine is CE marked. The SP101 WIDIA CUTTING MACHINE is equipped with a tempered steel blade fitted with a widia plate, a guillotine cut and a cutting aperture of 50×20 mm. Through a simple adjustment to the inlet guiding turret, all the above materials can be cut without any component substitution, thus ensuring a faster and more practical operation. The WIDIA BLADE KIT can be also exchanged with the STANDARD BLADE KIT or with the V-BLADE KIT at any time. The precision of the cutting length depends on how the material is inserted into the machine. When a high-precision cut is required, we recommend using the machine in combination with one of our DE-REELERS.